she can quilt: Happy Valentines Day! Happy Valentine's Day to all of you. It's clearly time I made a Valentine's project so I have a valentine's picture for this day. Maybe this weekend, if I have time. Instead you can see that I have started the assembly of my APQS Millennium Long Arm quilting machine. I'll be doing more of that tonight. 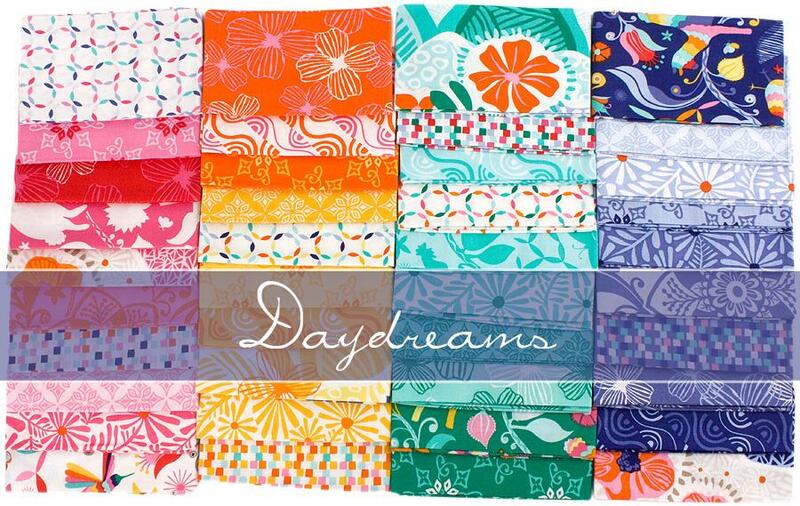 Mostly, I wanted to pop in here to announce that the winner of the Daydreams Layer Cake sponsored by the Fat Quarter Shop is Anita, who blogs at Quilts in a Not-Shell. Congratulations Anita, I will be emailing you shortly. Thank you to everyone who entered. I'm home from work, it's a long weekend for Family Day where I live, and I am off to do more assembling. I will keep you posted, including on instagram. Congrats to Anita! That frame is huge. Have fun assembling! Oh I can feel how happy you are right now!!! It looks like it fits really well.....I am so excited for you!!! That looks like a lot of fun! Pretty fabric for Anita!! Enjoy your long weekend with your new toy! You are going to be in hog heaven with that new toy! What a great reveal on Valentine's Day! Thanks for sharing.